If you have even a rudimentary knowledge of the history of the personal computer, you know that during the 1980’s Apple and IBM were considered mortal enemies. In a fight to the death for dominance of the personal computer market, it was the upstart Apple who created the personal computer revolution vs the old guard IBM who was the 800-pound gorilla in the technology industry. To this day there are still perceptions of Apple and IBM as distinct opposites in the technology world. This is even though a lot of time has passed since the PC wars of the 80’s and things have changed quite a bit. 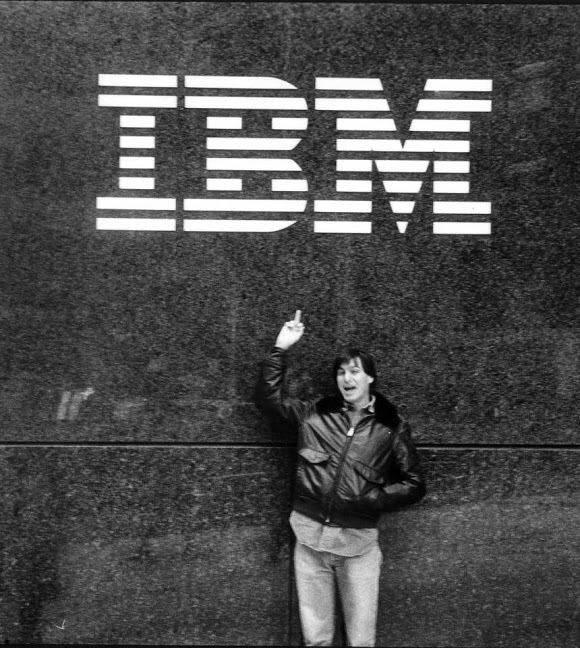 So when Apple and IBM announced a strategic partnership it wasn’t surprising that many people were somewhat confused. How in the world could these two companies form a strategic partnership? If you know the history of technology as well as I do, the announcement wasn’t actually all that surprising. While at first IBM was in fact Apple’s antagonist, Microsoft actually became the common enemy of both companies. Let me give you a brief background. Yes, it was IBM that came out with the “IBM PC” that ran a DOS operating system made by Microsoft. But due to shortsightedness on IBM’s part, along with some strategic maneuvers on Microsoft’s part, Microsoft became the big winner in the personal computer market, crushing every personal computer maker that didn’t run MS-DOS (and later Windows). Apple was virtually the only personal computer company to survive, albeit just barely. At the same time, the PC revolution crushed nearly every old-school technology company that was prominent during the mainframe era of the 60’s and 70’s. Even IBM itself was nearly put out of business by the onslaught of IBM-compatible PC clones running Microsoft operating systems. What saved Apple was the return of Steve Jobs and the subsequent expansion of Apple’s technology offerings into mobile devices such as the iPod, followed later by the iPhone and iPad, along with the revenues of the iTunes and App Stores. What saved IBM was their refocusing on their corporate services offerings back in the 1990’s. In fact, IBM was the first big name to get out of the PC business in 2004, when they sold their PC division to Lenovo. Only after Apple ushered in The New World of Technology with the iPhone and iPad, drastically changing the technology market, did other names such as Dell and HP begin to seriously target the corporate services market that IBM had long dominated. Both Apple and IBM realized that the PC market was beyond direct competition with Microsoft, but there were bigger things in store. Apple focused on the consumer market and IBM focused on enterprise services. Fast-forward to present day and the deal really makes perfect sense. Apple is the dominant force in the consumer and small business market due to the iPhone and iPad. IBM commands a lot of influence in the corporate world. IBM wants to grow with the mobile device revolution and perhaps due to the lessons learned in the 1980’s, knows that there is plenty of money to be made in offering services instead of trying to create their own devices. Apple would love to get more enterprise business and knows that partnering with such a well-respected name like IBM is probably the quickest way to achieve growth. So it really is just a very simple strategic alliance between two companies with a lot to gain between them. Yes, it seems a little funny at first, but the reality is that both companies are very mature and powerful and stand to get more powerful together. What was your first reaction when hearing this announcement?